We’re going to help you stay trend-forward in 2018 with a sneak peek at tomorrow’s styles within a frame of affordable, incremental upgrades you can easily apply to your F&B displays and serveware throughout your property. 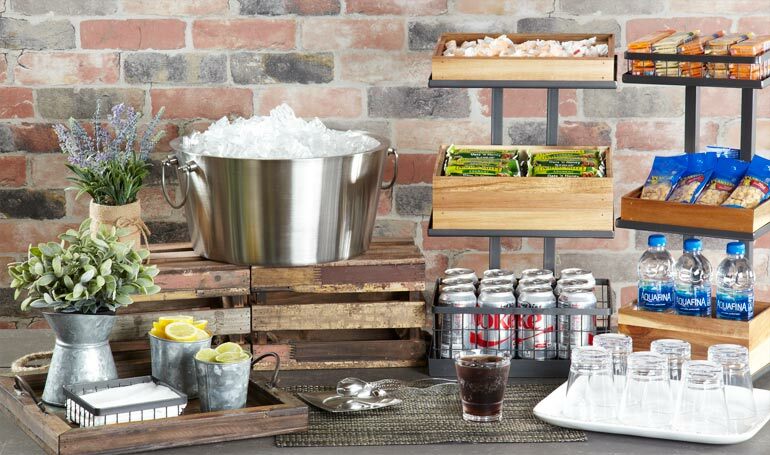 Featured: Pampa Bay™ serveware and crates with the look of reclaimed wood. Maybe it’s because the look of raw materials reminds us of authenticity by leaving the beauty of a material intact instead of being lost to over-processing. Whatever the reason, raw is the look for 2018. Often referred to as urban industrial, the style draws on the natural state of metal, wood, cement, slate, etc., made to look weathered, rough, and rustic, but with modern tones. The style is also minimalist, which creates elegant and subtly eye-catching displays. 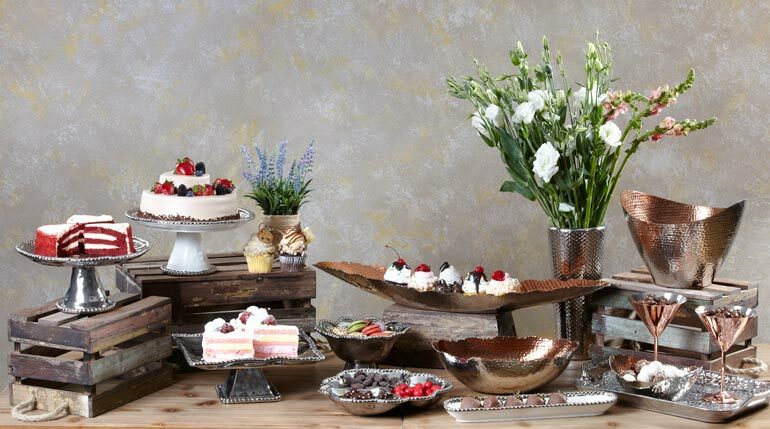 And you can see in both images above, you get great interplay between the rough look when paired with high-end serveware like porcelain cake stands and metal serveware you can use at any festive occasion. 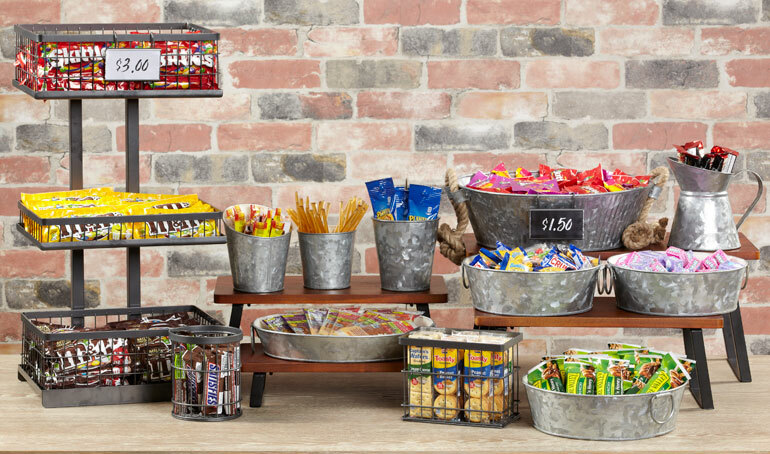 Or you can create a more casual, playful marketplace display. It's a wonderfully versatile style. 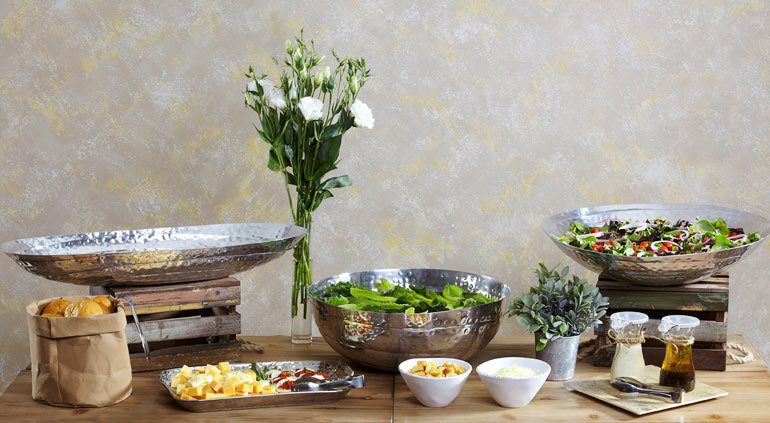 Featured: hand-hammered aluminum serveware, and crates with the look of reclaimed wood. We love this style because it’s so well balanced and can easily fit into a range of existing décor themes. That’s good news for hotel operators, because you can easily find small changes to make around your property that fit the new, raw look, but also complement your current style. 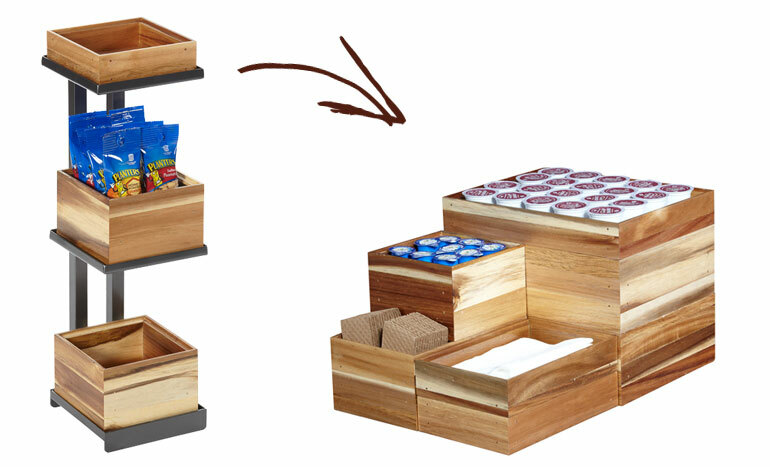 Featured: three-tier tabletop stand with baskets, and crates with the look of reclaimed wood. 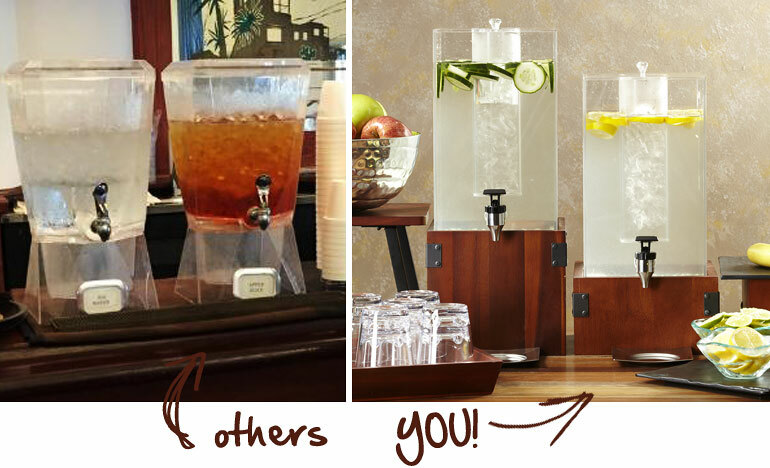 Featured: (left) live shot of beverage dispenser at a hotel property, (right) upgraded beverage dispensers that will improve your look. 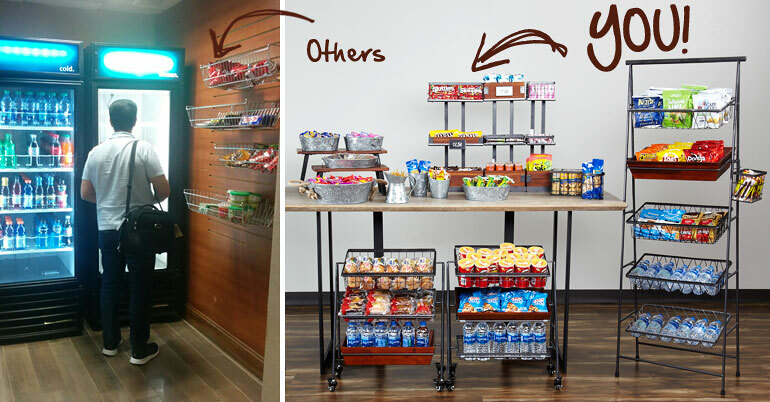 Featured: (left) live shot of marketplace display at a hotel property, (right) upgraded marketplace displays pieces that will improve your look. 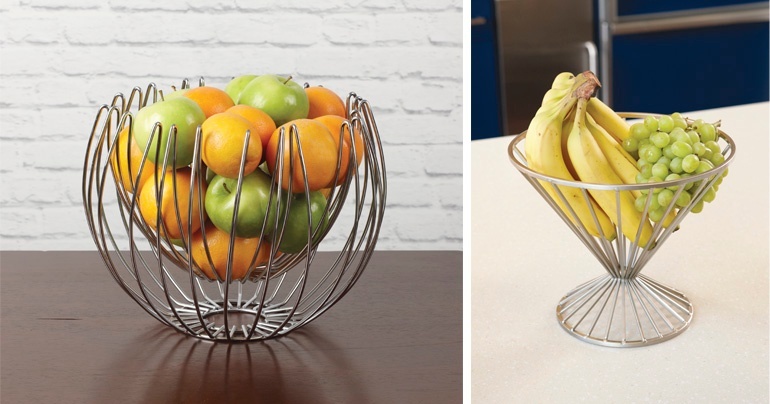 Use sophisticated baskets to display complementary fruit as snack options for busy guests. 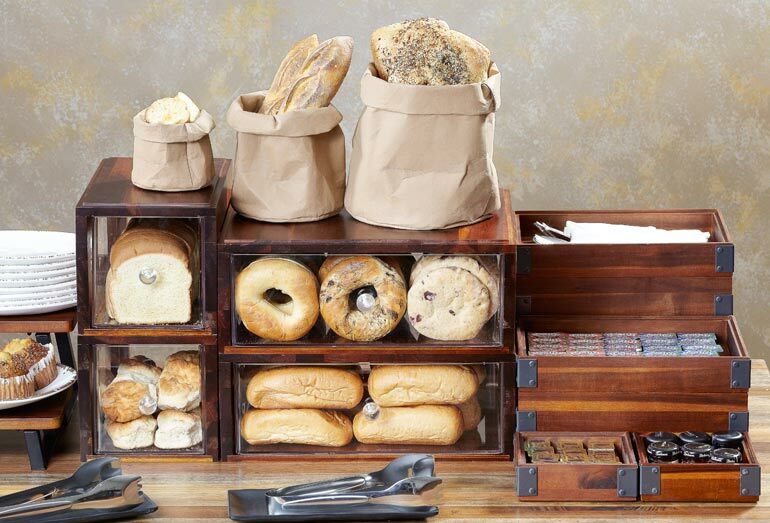 Simply replacing your existing bread and pastry presentation with eye-catching wood and metal displays is enough to give your breakfast bar a face-lift. You can build out a whole station for coffee and hot tea service. 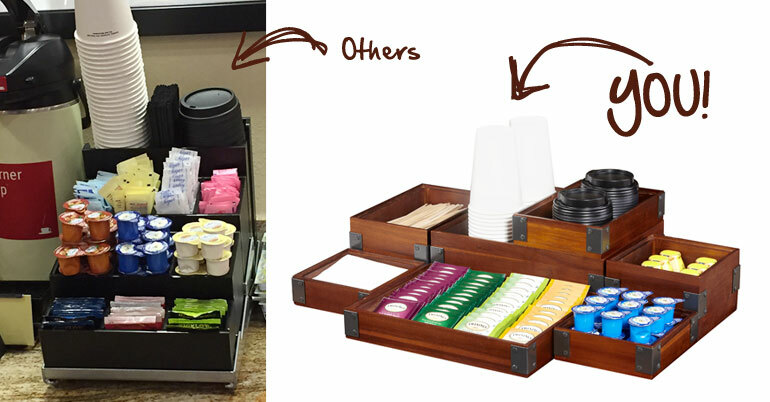 Or you can focus on smaller changes like upgrading your display for cream, sugar, stirring straws, etc. See the difference a small, simple change can create? 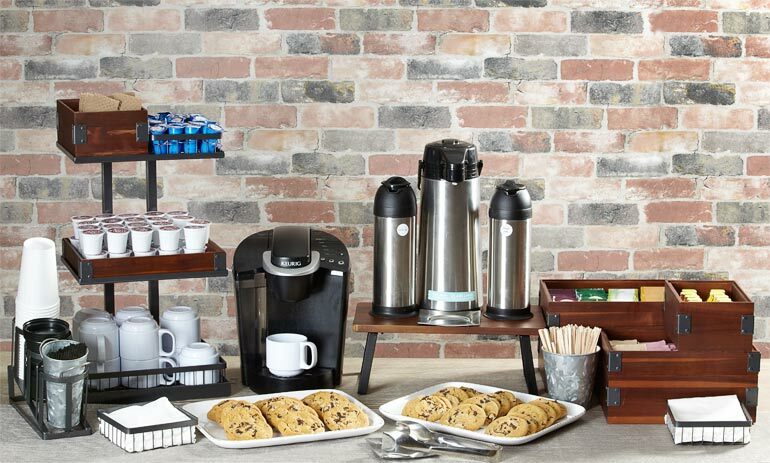 Set out light snacks and beverages in meeting rooms and banquet halls. 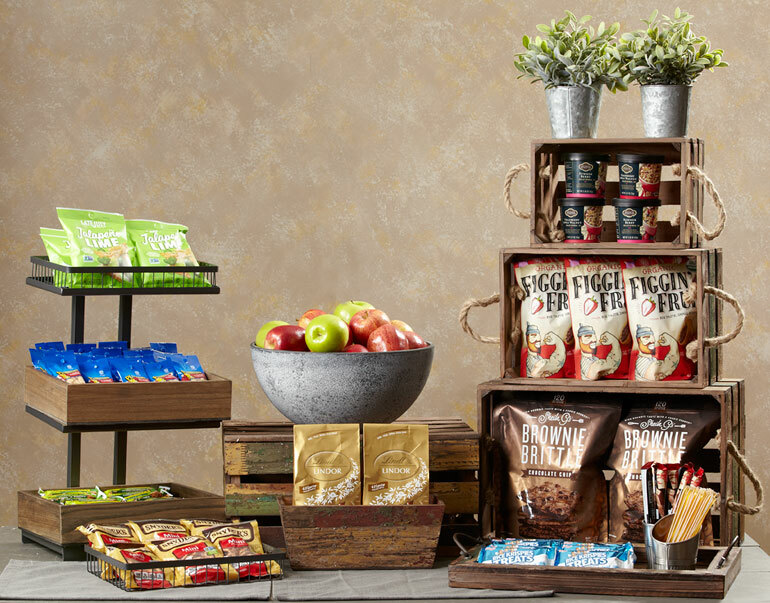 Use trendy, rustic wood accessories to display anything from wrapped sandwiches to pens and paper and even projector remote controls during small meetings or large corporate conferences. And you can use wooden crates to decorate any space from the lobby to guest rooms. If you're ready to upgrade, G.E.T. designed a versatile display and serveware collection with you in mind. You can start with a couple displays and repurpose pieces around your property as needed, building on the look throughout the year. You don't have to go it alone. 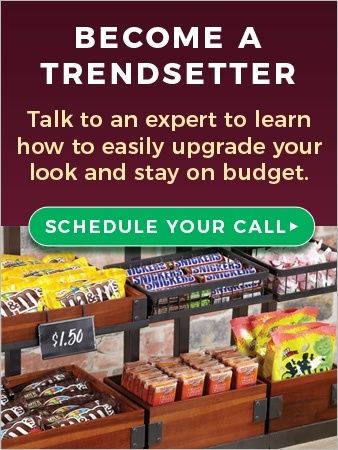 Our consultants will work within your budget to help you create the on-trend look you want. When you connect with us, we do all the work and you enjoy the benefits of creating a unique, trendy style for your property. You can even request an appointment right now if you like.